Several years ago, I had an idea for an Alien/Sci-Fi story. I’ve been so focused on The Keepers of the Orbs series, that this story has been placed on the back burner. Well, I was approached last month by people at Channillo to see if I have ever considered doing anything serialized. I decided to take a chance and submitted a proposal for this little story. They accepted. I’m very excited by this series. So far, the first chapter was released last week, and Chapter 2 will be posted tomorrow. If you are on Channillo, I would appreciate if you checked it out. The story is set on Earth during current times. It will follow three Human children (all around the age of 18, coincidence, I think not :)). 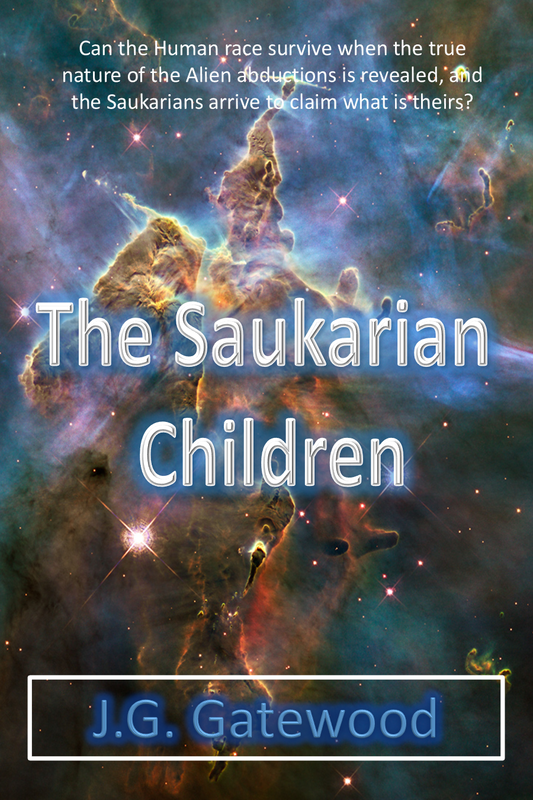 The Saukarians, who hail from Alpha Cassiopeiae, have lost the ability to procreate. They instead alter the DNA of less advanced species to further their own race. They arrive at Earth intent on decimating the planet, and the current population to survive. What they don’t account for is the innate desire of the Human race to survive at all costs. The Human race rests in the hands of a small number of teenagers who must decide between saving Earth, or joining the Saukarians. If you’re a member of Channillo, you can check it out Here. If you’re not a member, it would require creating an account and paying a monthly fee. If you select the cheapest plan ($4.99 per month) you will get access to not only my series (if you decided to follow it) but 9 others as well. Also, please check out my fantasy series, The Keepers of the Orbs. The prequel can be found Here. The first book will be released December 1 on Amazon. I entered the short story I released (unedited) on WordPress a page or two at a time, into a contest (after I edited it of course). I found out today it was selected as a winner and will be published in an anthology of short stories mid-summer 2014. Here is the ending of the Short Story. I hope you enjoy it. The year was 2304 and life on Earth had moved on. An explosion of unknown origin had occurred nearly two hundred years before. Radiation rendered much of the western United States uninhabitable. At first it was thought a nuclear explosion had caused the damage, but the large area of radiation dwarfed what any modern weapon of the time would have caused. The only known fact was that it occurred southwest of Denver and had encompassed all of Colorado and most of the neighboring states. Two workers of the cleanup coalition were assigned to a portion of Parker, Colorado. Cleanup began several years ago. While labeled a cleanup project, the government ran the project with the intent of collecting information to determine what exactly had occurred. The radiation level had finally come down enough to allow workers in environmental suits to work continuously for six hours at a time without endangering themselves. Another purpose of the cleanup was to gather precious metals. With this part of the country incapacitated by the blast, metals necessary for construction and components were in high demand. “Anything good in it, Nick?” He walked over to help him dig through the contents. There were watches, bracelets, and necklaces inside. They all appeared to be gold and Nick excitedly checked them for a gold stamp. They hadn’t found anything like this in months. There would definitely be a bonus in store for them this month. Charlie opened the letter and found a hand scrawled note. Nick looked over his shoulder to read it as well, and their eyes grew large. If you are reading this letter, then my hope is that I was successful. In here you will find my complete confession. My name is Lieutenant Colonel Mike Thompson. For years I have worked at the Indian Hills Military Base just outside of Wateron Canyon in Jefferson County, Colorado. This base was a top secret installation and may not be in any records. There is a serious reason for that. An alien spaceship crashed and was found early in the 20th century. By the outward appearance of the craft it had crashed hundreds of years earlier. President Woodrow Wilson commissioned the installation to protect any knowledge of the craft. Over the years the mission of Indian Hills morphed from protection, to understanding, and in the 1960’s under President John F. Kennedy, a large amount of capital was funneled into the program to study the ship and learn from the technology. The rapid technological growth that occurred in the United States over the last half of the 20th century can be attributed to information learned, and stolen from the alien craft. This was not a ship like any of you would expect. It was larger than most buildings and inside we found incubation chambers that contained hundreds of thousands of alien creatures. It was determined that this ship had a single purpose; an invasion. Even though the craft had crash landed, it still had power and appeared to function normally. With the ship functioning, the incubation chambers stayed in operation and the alien troops remained in stasis. I worked on a team that wasn’t interested in the technology. Our mission was to learn the biology of the aliens so we would be prepared if others of the species tried to attack Earth. During the first several years of the program we learned all we could, but we hit a roadblock. We needed to study a live and awake specimen to understand more. I spent the last three years learning and understanding the controls. I felt confident I could bring a single specimen out of stasis for further study. On the morning of November 11th the plan was put into place and I began the process to bring one of them out of stasis. The system responded and the process started. The first chamber opened and the technicians were ready, moving the creature to a table. For safety reasons it was strapped down so it couldn’t escape. As the observation began, other units started opening up; followed by more. We weren’t prepared and were soon overwhelmed. The creatures were larger and stronger than a normal human. They had claws instead of hands, although there were digits on the tip of the claw capable of carrying out several functions. In the fight that ensued I was hit. I fell and hit the control panel with my head, knocking me unconscious. I awoke several hours later with a headache and a large bruise on my head. I stood up and looked only to find bodies everywhere. The control room was devoid of any life, other than myself, although I could hear voices and movement throughout the ship. I made my way out of the ship and back into the base. The same level of destruction was evident throughout. I knew I had to get out of there, so I left. I found my car and made my way back home. Sometime during my drive home, the power went out. The highway was littered with corpses and incapacitated vehicles making my travel difficult. I checked on a couple of the vehicles, including a police car, but there was nothing that could be done. Besides, I could see the creatures creating devastation everywhere. They went from home to home, and building to building destroying and killing anything in their path. One thing I noticed was their speed. I felt that if one caught up to me, they could outrun my car. I finally made it home, long after dark with an idea in my head. At the rate they were moving, it wouldn’t be long before they conquered the United States, and I assumed they wouldn’t stop there. I knew I had to put a stop to this before they get that far. While I cleaned my guns I decided that I needed to go back to the source. The core of the ship was still functioning. If I could get back I could overload it and create an explosion. The core relied on a reaction. A reaction of chemicals that are alien to me. My hope is that the explosion will be large enough and create enough radiation to kill the aliens before they can spread. Which brings me to the purpose of this letter. I created this, and I have to put an end to it. If somebody is reading this, please try to understand why I have done this. I know millions of innocent people have died today. Included in that group is my own family. I know you may not understand, but I don’t see any other way. I feel remorse coupled with pain and sadness. I hope this letter finds a still functioning planet Earth. May the families of the deceased forgive me, and may God give me the strength and courage to complete my final mission. There is one more section left that will wrap up the story. I will post that in a day or two. Until then, here is the second part of The End is Near. Roger cautiously followed him and was greeted with rows and rows of chambers. There had to be thousands of them. “What are these?” He was afraid to ask, but he had to know. Roger shook his head. He was right, he didn’t want to know. Mike set the duffle bag on the ground. He had seven of the incendiary devices left. He struck a match and lit the first one, before throwing it at the first chamber. It exploded and sent fluid over several of the other organic chambers, lighting them on fire. Smiling in satisfaction he grabbed another one and tossed it. And then another. Suddenly an alarm blared throughout the room. They stormed out of the chamber and ran back to the stairs. They climbed four levels and could hear the creatures running behind them. Mike directed Roger down the corridor. He turned and shot two of the creatures as they rounded the corner, before catching back up with Roger at the end of the corridor next to a set of double doors. They heard yelling in an unknown language from down the hall. The both leveled their guns, ready to shoot. The grumblings and yelling grew louder as two of the creatures rounded the corner, followed by two more. Luckily the narrow corridor only allowed two of them to fit two side-by-side. Mike aimed for the left and Roger to the right. The creatures in the front fell and were trampled by the next two as they continued their march, only to be taken down as well. They could hear more creatures coming. “Go. I can handle this.” His body shook from the adrenaline coursing through his body. “I promise, Roger. It has been an honor and I am glad I ran into you.” He saluted Roger who motioned him forward. Mike turned toward the door and punched a code into the control panel to open the doors. Electronics filled the room and a large view screen took up the whole wall in the front. He walked over to one of the panels and sat down. He heard gunshots from outside. Sweat dripped down his face and he blinked his eyes to focus on the controls. He started entering commands. It all came down to his fifteen years of study and training. He knew these controls better than anyone else on his team. Minutes ticked by as shots and screaming rang out though the corridor outside the control room. It distracted him and his task was more difficult as sweat now poured down his face, filling his eyes. He typed in the final command and watched the screen blink. He sat back and sighed as the blinking on the screen increased. He may have caused this problem, but now he it would be over. More shots rang out as his thoughts drifted to his family. His sweet innocent family. He was still shocked any of this had happened. Suddenly the control panel started a series of beeps. He sat forward in his chair. I have done it. I am coming home. I love you. He closed his eyes as an explosion ripped through the ship. He felt a blast of heat that instantly burned the flesh from his bones, before everything went white. The last half mile of the walk had been uneventful. He started to regret bringing Roger with him as everything had been so easy. Although they couldn’t see it in the limited light, Mike knew the hangar sat only a couple hundred feet further. They rounded a corner and put the light on the hangar doors. Curiously, Mike noticed the doors were closed, which wasn’t the way he had left them. He wished there were windows in the door so he could see what was going on inside, but alas there wasn’t. “It will take both of us to move these doors. Be ready, anything could be lurking inside.” He motioned for him to take the left door and he applied all of his weight and force on the right. The doors slowly slid open, and they kept pushing with all of their might until they opened wide enough for them to walk through. They could hear clamoring on the other side. Mike brought his flashlight up and focused it inside. Three of the creatures were bearing down on them. Roger could see them in detail for the first time. They had large beady black eyes, large mouths that displayed teeth that could cut through bone, and where there should have been hands they had large razor sharp claws. A green liquid dripped from their fangs. Mike reached for his gun and began firing. They were quick, damn quick, which made it difficult for him to aim. At this point they would be sitting ducks. He ordered Roger to back up. “Get back and begin firing when they try to breach the doors.” He yelled. Mike kept firing while Roger backed up and got into position. Roger backed up and gave himself room to shoot. He started taking shots as the creatures tried to squeeze through the door. He aimed for the head and was amazed when he had to put multiple shots into the first creature before it fell to the ground, screaming in agony. He noticed Mike digging in the duffle bag as he ran back to join him. Three of the creatures were now at the door, fighting with one another as they tried to make their way through. Mike reached Roger’s side and he had a glass bottle in his hand with a rag sticking out the top. “Keep firing. Do NOT let them through!” He struck a match on the concrete floor and lit the rag in the bottle. The rag must have been soaked in a flammable material because it immediately went up in a flash of flame. With the rag lit, Mike threw the glass bottle at the creatures. It collided on the steel doors and shattered, sending flaming liquid at the creatures. They screamed in agony as they ran and tried to put it out, taking them back into the hangar and out sight. Mike walked back toward the doors with his gun drawn and flashlight aimed in front of him. He heard the cries of the creatures die down and stop all together. He waited by the doors and listened. After a few moments of silence he aimed the flashlight inside the hangar; not that he could see much in the limited light the flashlight provided. Still nothing moved from what he could see or hear, so he walked inside motioning Roger to join him. Roger looked amazed when he walked through the doors. Again he couldn’t see much, but he could tell by the lack of visible walls in the beam of light that the room was rather large. It’s not that it’s large, it’s enormous, he thought. This had to be the largest room he had ever seen. Mike turned back and looked at him. “Follow me, and stay close.” He ordered him. He made his way rather easily though the dark and Roger stayed on his heels. They rounded the corner of what Roger assumed was another room in the building and were greeted by a door with an electrical panel to the left. Mike hit a series of buttons, and the pad illuminated. Roger looked surprised to see the pad had power; he thought the whole city was dark. After a few more buttons, the door hissed and slowly lowered to the ground creating a ramp into the room. The light from inside the room blinding Roger who had to shield his eyes. Once their eyes adjusted, Mike walked inside, turning the corners with his gun first. Roger quickly followed him. The room looked like nothing he had ever seen before; almost alien. The walls weren’t all metal. Parts of the interior even looked organic, as if it were alive. It was all rather unsettling. Mike waited and listened, before turning to Roger. “Well, we made it inside. I’ll cover our front, you watch our rear. I am not sure what we might encounter, so stay close and only shoot when you have a clear shot. We don’t have much ammunition left.” Mike grabbed another Molotov cocktail and carried it in his left hand, before leading the way. Roger started to relax after ten minutes of complete silence, except for the clamor of their feet on the metal floor. He decided what he thought was a room, was in fact a ship. A ship that was not human made. At least it did not resemble anything he was accustomed to. Mike led the way down a staircase and they went down one level. He led them through corridor after corridor, before stopping at a set of doors. “This is the riskiest part of what we have to do.” He entered a code into the door and led the way after it slid open. It took Roger and Mike nearly two hours to make their way to the entrance of the secret base. The entrance looked like an ordinary utility or access road, shrouded by thick boughs from the evergreen trees. If you didn’t already know it, you would have no idea that it led to a secret base. At least until you drove about a mile up the dirt road. However, one dead giveaway this was no ordinary road would have been how smooth it was, and how groomed the trees were. Someone had gone to great lengths to give off the appearance that this was a rarely used road, although it was actually quite busy. They continued on and approached a wire fence and a barricade with a guard shack. Mike drove the truck through and crossed over a bridge crossing a deep crevice. It appeared to be man-made and evidently served as a deterrent. Once across the bridge, they were met with another fence and guardhouse. This fence was a double fence containing thick coils of barbed-wire at the top. A guard tower sat at intervals of roughly a hundred feet. They really weren’t screwing around, Roger thought. With the security fences in their rear-view mirror, they were greeted by a large mountain that blocked the road. There was a large set of cargo doors were built into the mountain and stood wide open. Mike brought the truck to a stop and looked over at Roger. “We can drive the truck a mile or so, but we’ll have to take emergency access shafts another half mile deeper into the mountain. It won’t be easy, and we’ll have to be on alert and watch each other’s backs. I am sure they are lurking deep within the tunnels. Are you ready?” Roger nodded his head, and Mike drove the truck through the open doors. “I am watching, but this is fascinating.” He continued to marvel at the inside of the structure. “I would’ve never thought anything like this would be possible. They drove through the tunnel and made their way to the real mountain. Mike put the truck in park and turned it off. He looked over at Roger. “Well, we made it this far safely. I am sure we won’t be so lucky as we continue.” He grabbed the duffle bag and rummaged through it. He holstered his guns and put the spare magazines for the Berettas in his belt. He gave the Glocks to Roger. “Aim for the head, and don’t waste your shots. I don’t have spare ammo for those guns.” He picked up the duffle bag and walked over to an already opened access shaft. He appeared to be apprehensive. “Yes.” He tucked the guns in his belt, severely weighing it down and completely defeating the purpose of wearing it in the first place. He stuck the flashlight in his front pants pocket. He stepped onto the ladder and started the climb down. Roger was in good shape. He stayed pretty active. Hell, he had climbed all but three of the 14,000 foot mountains located in Colorado, but none of it prepared him for this. He expected a rather quick climb down the ladder. It kept going and going. Roger’s arms started to ache and as a result he started to shake. Sweat started to bead down his face and arms, and his hands became slippery making the climb down all the more difficult. His arms and legs were about to give out on him when he finally reached the next level. He stepped onto the hard concrete floor and took a moment to stretch and flex his arms and legs. The tunnel sat eerily dark and he realized he couldn’t see if anything lurked in the shadows waiting for him. He froze for a moment and listened. He couldn’t hear anything, and decided it was safe to turn on his flashlight. He scanned the tunnel and spotted two dead bodies spread out on the floor. He jumped back at first, unprepared for the image, before realizing they were already dead. Feeling relaxed, he flashed the light up the access tunnel and called up to Mike. “All clear. You can head down.” He could hear Mike’s hard boots as they connected with the metal rungs of the ladder. The wait was painful and Roger couldn’t wait for Mike to rejoin him. Any sounds that materialized—and there weren’t many in the deserted tunnel—made him jump. Come on! Come on, damnit! After what seemed like an eternity, he saw Mike just a few rungs above him. He jumped down the last few feet, obviously uncomfortable himself, but he put on his best act to hide it. Roger couldn’t believe what he was hearing. The news was disturbing, and almost far-fetched enough to be made up. But given the sincerity and tone of Mike, he knew it had to be true. Roger walked up behind him. “It’s that one over there.” He pointed to a mid-90s sedan. Mike shook his head. Of course it would be a piece of crap. “Well that piece of crap isn’t going to work. We’ll have to take one of the other ones, and I’m afraid it isn’t going to be appetizing.” Mike spotted a pickup truck parked at one of the pumps and walked over to it. Roger hit the toggle switch, before peering into the vehicle. He spotted the dead body in the seat and quickly vomited, releasing everything in his stomach. Although he had seen bodies littering the ground during the day, he wasn’t prepared for the close-up, gruesome sights and smells. Mike pulled the corpse from the passenger seat of the truck. It hit the ground with a disturbing sound. The arm he yanked on separated from the body. He was surprised how quickly the bodies were decomposing. He knelt down to examine the corpse more closely with his flashlight, and spotted a green liquid surrounding a wound to the arm. He didn’t know what it was and shrugged it off, returning his focus to the task at hand. Roger threw the purse to Mike and began to climb in. The seat was filled with blood and feces left behind by the corpse that previously occupied the space. He wanted to throw up again, but was able to keep it down. While Mike dug through the purse to find keys, Roger ran to his own car and grabbed a couple of t-shirts from his backpack in the trunk. He ran back to the truck and heard it roar to life; Mike must have found they keys. He wiped down the seat with one of the t-shirts, using water from one of the bottles they grabbed from the store. Before sitting down on the seat, he laid down the other t-shirt while Mike urged him to pick up the pace. He knew he shouldn’t care, but he couldn’t bring himself to sit in another person’s waste if he didn’t have to. “You ready now? Anything else you would like to grab?” Mike asked the young man; sarcasm filling his voice. “Of course. Growing up, I hunted with my father.” He finally understood what Mike was referring to. He fearfully turned his head and looked out the window. He couldn’t see the creature, but he spotted movement in the field to the north. Whatever it was, it moved quickly. Mike slammed the truck in reverse and angled it toward the oncoming creature. It was running directly toward them; moving at a speed faster than a moving car. Roger jumped out of the truck and dropped to a knee. He thumbed the safety, and steadied the gun and tried to control his breathing. He could here his father in the back of his head, barking orders at him on how to shoot, but he knew he didn’t have much time. With the creature in his sights, he took a deep breath and held it, before squeezing the trigger. He missed the creature who bared down on them. Upset with himself, he lined up another shot, calmed his nerves through several deep breaths, held his breath, and squeezed the trigger again. The shot was true and hit the roaring creature above its left eye, or what Roger thought resembled an eye. The creature had slowed its approach, but still wasn’t dead. Roger repeated the exercise and put a second shot through its head. The creature wasn’t like anything he had ever seen before. The skin was a deep, murky green color and I was shiny, as if it were wet. The eyes were large and black, in the shape of an oval, with no whites surrounding the pupil; just pure and utter blackness. Sharp pointy fangs took the place of normal teeth, and a green fluid slowly flowed out if its mouth. Instead of hands, it had long, sharp and serrated fingers that resembled claws. The arms hung down longer than human arms. The creature was definitely not human and had to be from another planet. Roger shook all over. Adrenaline coursed through his body, and he was unable to comprehend what had happened in the previous thirty seconds. “Jesus! Even after your description of what we are up against…I wasn’t prepared for that.” He dropped the gun on the seat of the truck and began to pace, running his sweaty hands through his thick, dark hair. He took deep breaths and cussed, trying to get himself under control. Roger nodded his head and Mike slammed his foot on the gas, screeching the tires, and fish-tailing the rear end of the truck as he left the gas station in their rear-view mirror.